Cancer research helps to identify its causes and points a way towards the improved methods of prevention, diagnosis and treatment. The Institute ensures that the research is contemporary high end and is conducted in a the scientific manner. The research project is first submitted to the Department of Research in a prescribed format. A proposal submitted to the Institute for the conduction of a research study undergoes various levels of scrutiny. Research Support Activity Group has been created under the aegis of Director Research. This support group screens projects before they are sent to the Scientific Committee. Once approved by the Scientific Committee, it goes to the Institutional Review Board (IRB) of the Institute for Ethical Clearance. 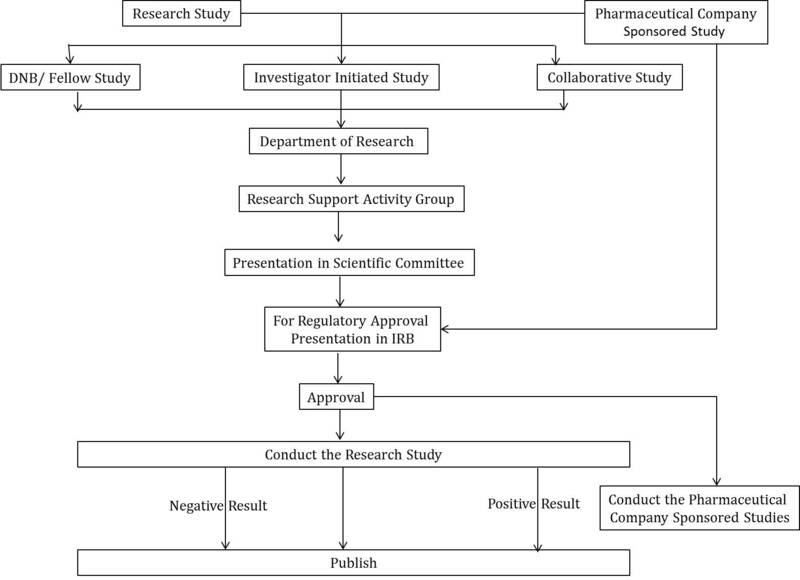 On approval by the IRB, the study is initiated . The Institute thus, has a three tier system before the initiation of any research project.